When we travel abroad we pack so many things and we don’t want to miss out anything we might need. Nowadays, mobile phones have also become a major requirement and it is like something we can’t survive without. You are free to carry it with you to some other country. The trouble comes when you want to call/text your beloveds from there. One app that comes in handy when you want to talk across borders is the NomadPhone. 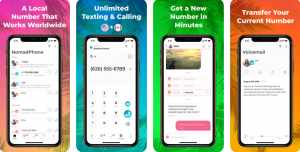 The app provides you with a local number that works worldwide. It gives you a new number that is reliable and consistent when you cross borders and change sim cards. This app that belongs to the Utility category in the App Store is very useful to all the Canadian and U.S. users. The app works on both Wi-Fi and data and notifies you what you have missed when you were offline. NomadPhone has a lot of features that makes it unique from other apps similar to this kind. The app lets you to communicate via Wi-Fi, local or an international sim card thereby eliminating the roaming fees. 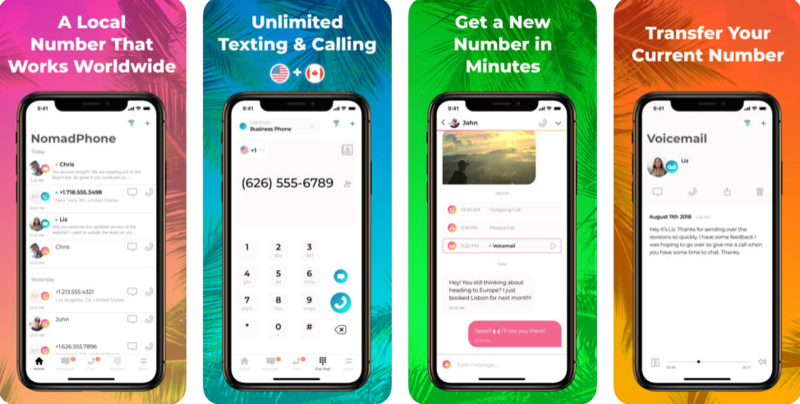 The app minimizes your phone bills by providing free incoming and outgoing calls and unlimited amount of texting options to U.S. and Canada. Using NomadPhone you can transfer an existing phone number or get a new phone number of your choice. The app never lets you to miss a call as it routes all of them to the app. The app transcripts all the voicemail to text and saves the time. Above all the most interesting feature is the outgoing caller ID that the app provides. This facility helps you to make calls as if you are doing them from your home or office. The latest version 1.0.3 of the app is available only for iOS devices and requires iOS 8.0 or later versions. The new version has many improved audio features, number porting process and subscriptions. NomadPhone is free for a trial period of 7 days. It is also ad-free which I feel is an added plus. The monthly subscription will begin with your sign-up on iTunes account and will be charged once you purchase. The app is a must-have to anyone who is traveling out of U.S. or Canada. The app also comes with many in-app purchases that gives access to all premium features.